Google Chrome in out of beta shocker! Google has announced that its web browser, Chrome, has been taken out of beta. The browser came out of nowhere in September, when Google did its usual trick of unleashing products with no build up. So far, Chrome has been used by more than 10 million people worldwide. 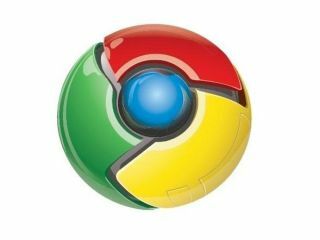 As with most software and application manufacturers, the beta stage of Chrome was essential for Google, as it allowed users to give feedback on glitches and problems they found when using the service. The beta process for Chrome, however, has been a quick one. Other Google features, like Gmail, remain in beta, despite being around since 2004. In a statement, Google's Vice President of Product Management, Sundar Pichai, wrote: "Google Chrome is a better browser today thanks to the many users who sent their feedback, and the many more who enabled automatic crash reports, helping us rapidly diagnose and fix issues." Some of the improved features include: better bookmarking, easier browser switching and security has been upped. There are still some features missing like form autofill and RSS support but Google promises these will be included in "the near future".